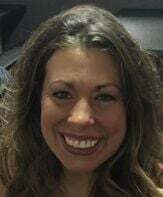 DECATUR -- Mickenzie (Kenzie) Rae Bender, a lifelong resident of Decatur/Mt Zion, IL died unexpectedly on December 8, 2018 at the age of 37 while assisting with the hurricane relief effort in the Panama City area of Florida. Mickenzie, is survived by her parents, Tom Estell and companion Myra Sharp and Becky (McClain) Voigt and her husband Jim Voigt; her daughter Rylan Bender; her sisters, Jeseca Estell, Michelle Voigt (Jeff) and brother Kevin Voigt (Cindy); her grandmother, Maxine Estell; numerous aunts, uncles, nieces, and nephews; and her boyfriend of the past eight years, Willie Tucker. Mickenzie was born January 30, 1981 in Decatur, IL to Tom and Becky Estell. She graduated from Eisenhower High School in 1999. She married Ryan Bender on September 27, 2008 and gave birth to their beautiful daughter Rylan Grace Bender, who was the joy and purpose of her life. Mickenzie was full of life and affected all those around her with her smile and laughter. Her heart was full of caring and she consoled those whom she encountered, whether they be a lifelong friend or perfect stranger. Her love of God and family, especially her wonderful daughter Rylan, are hallmarks of her life. Her lasting legacy is that special daughter who has inherited her smile, laughter, and concern for others above herself. Mickenzie will be missed by her family, friends, and all those whose lives she touched. We who survive her know she is being embraced in the arms of our Lord and Savior, Jesus Christ. A private memorial service is being held for the family. Condolences to the family may be posted to www.brintlingerandearl.com. In lieu of flowers, donations towards an educational trust fund for Rylan may be made in her name and mailed to the Busey Bank at 2070 South Mt Zion Road, Decatur, IL 62521 or instructions for donations to the National Institute on Alcohol Abuse and Alcoholism may be found at niaaa.nih.gov. Mickenzie – Dreams unfulfilled, her amazing legacy now to reach them!